Well here we go…. I’m about to embark on a huge Kaptain Kenny mission. 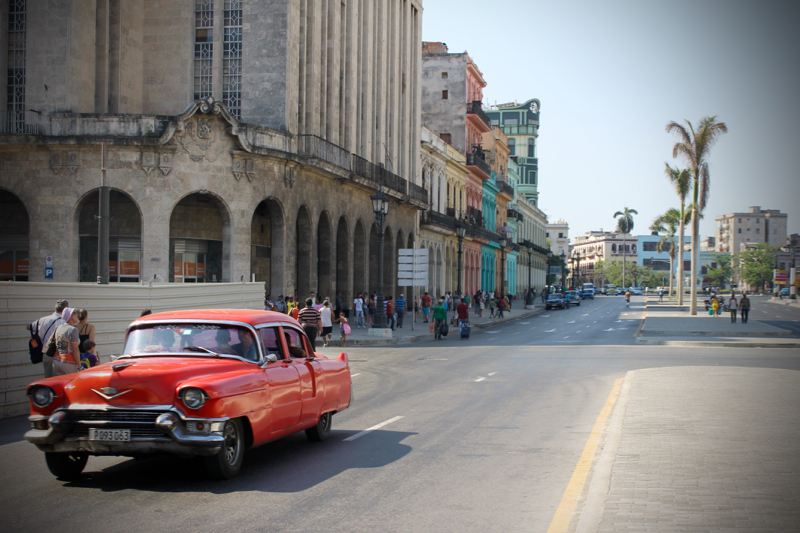 I’ve just returned to Frankfurt from Cuba, where I’d been travelling for two weeks. Towns visited on the entire trip: Havana, Cienfuegos, Trinidad, Vinales, Vinales Valley, Santa Clara, Cayo Santa Maria and Cayo Levisa. 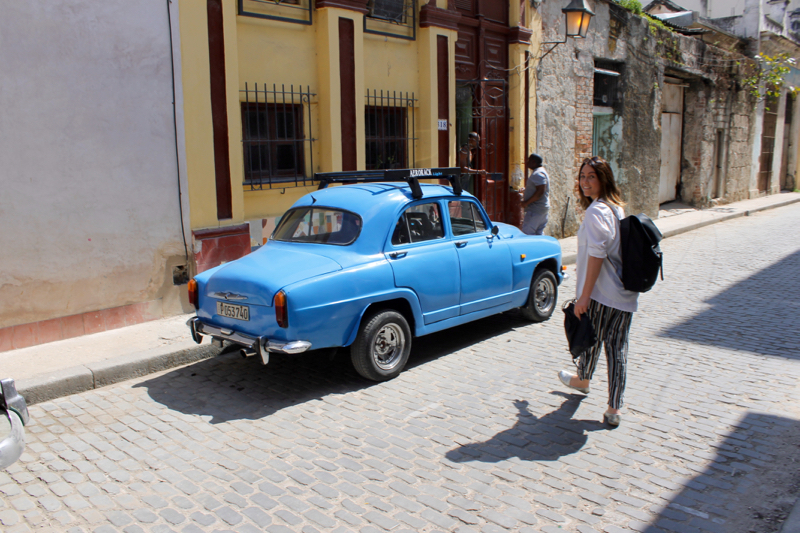 It was an incredible trip, not only because I’d never seen a place like Cuba before but because I went with the intention of no expectations and found that I really loved the place! However, I’ve come back with around 2000 photos so as you can imagine, it’s been painstakingly difficult going through them all and working out which ones will be of most interest to you guys. 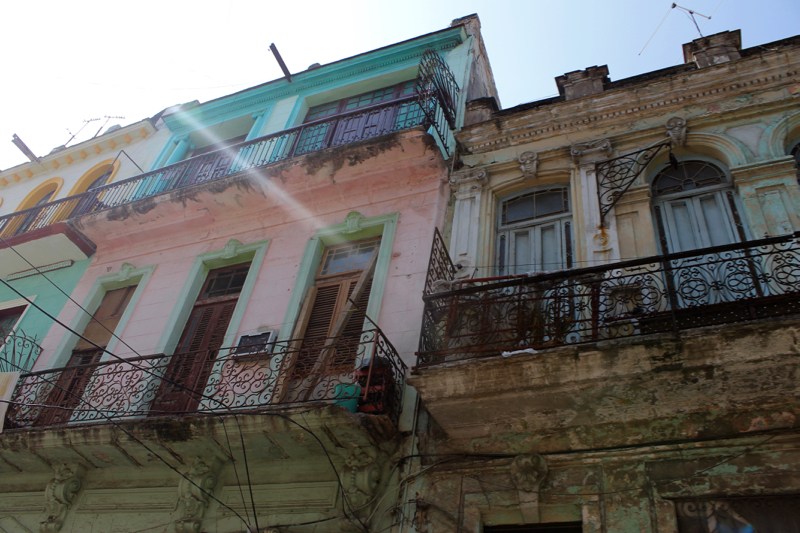 I learned quite a bit about Cuba while I was there but since coming back, I’ve been watching Cuban documentaries every day to try and learn about the things I missed. 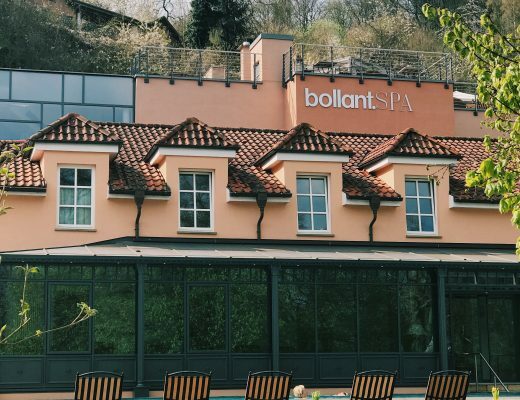 In this blog, I do not claim to know 100% of what the situation is like but I’ll give you my honest opinion on the place. 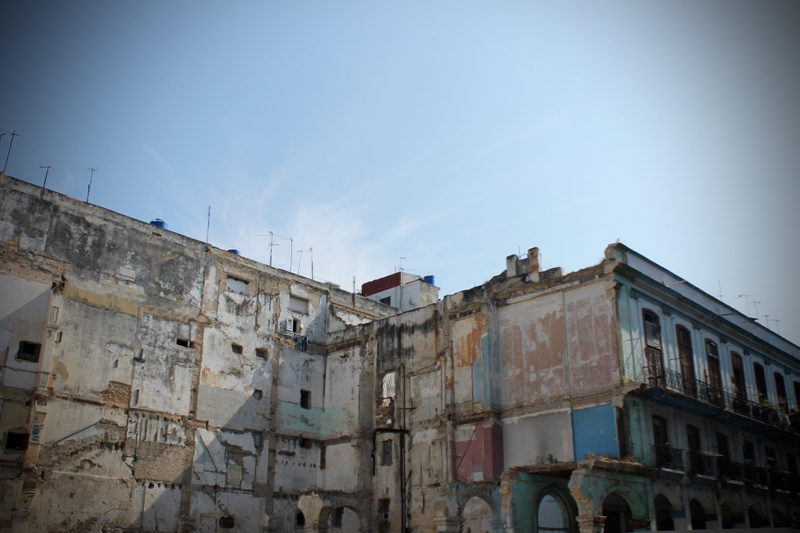 Cuba is 100%, indescribably safe. In fact, there are parts of Germany/Italy/France and Spain to name a few where I wouldn’t like to be alone but Cuba was totally void of any such feelings. In saying that, Cuban men are extremely flirtatious and will look you up and down and say things to you no matter if you are with your partner/family/friends or alone. It also doesn’t matter if they are 20 or 80. Just be aware of that. 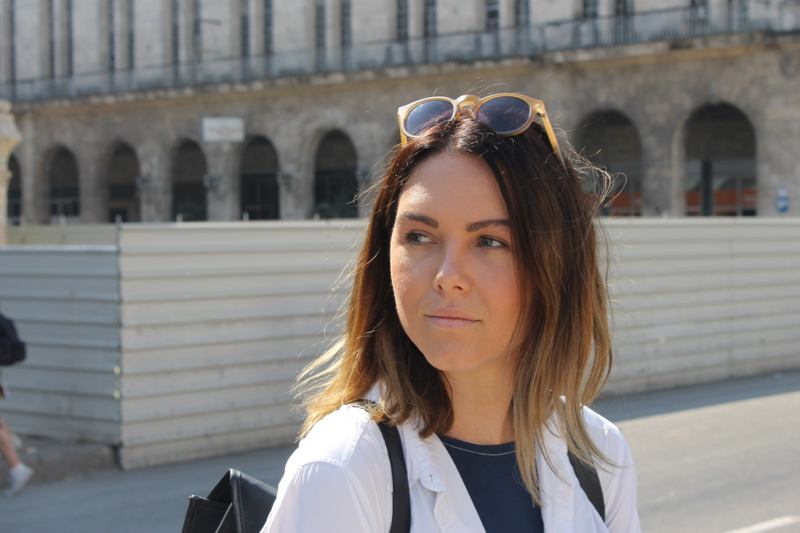 For a foodie/coffee lover, Cuba is really a nightmare. BUT on the plus side, you’ll be so taken in by their friendliness, charm and hospitality that the food issue won’t matter. If you want to know what I ate for two weeks, it was the same every day. Fresh fish, black beans, rice and salad. The salad is the same every single time. It’s shredded cabbage, slices of tomatoes and cucumber. The dressing is plain vinegar. Why? Well to be fair, Cuba doesn’t import a whole lot so what you get there is indeed bland BUT it’s fresh and I never got sick from the food. Ironically, the day I landed back in Frankfurt, I got food poisoning from a restaurant in town and went to hospital for a day! Funny that…. Cubans have a better life today than they did before the Revolution but that’s not to say that life is perfect for them. As part of their social system, they get free healthcare and education and they get very basic rations from the food ration supermarket. (Photos of this below.) I learned that most people earn between 20 and 40 CUC per month, no matter if they are doctors, teachers or cleaners. This is certainly not much, in fact it’s around 30 Euros on average. This means when you are in Cuba, it’s important to tip people in CUC where you can. Trust me it makes a huge difference and you’ll get a big smile from them. After a walking tour, give your guide 5CUC per person or if you’re on a longer tour, be sure to give your driver and guide a nice tip at the end – I’m fairly certain people live from tips! The currency situation is complicated. It’s not possible to get the tourist currency outside of Cuba, in fact, you have to line up for 1-2 hours at the airport when you land. (This is if you want to convert your Euros or USD. Don’t bother bringing other currencies.) If you have a VISA card with money on it, you can put it into the ATMs and withdraw CUC (which is the local tourist currency). Be warned**** there are some towns without ATMs. You are not in the 1st world here so expect to have issues with money from time to time. Once we even lined up for an hour in a 80’s style brown-coloured bank to withdraw some money from our accounts. The entire escapade took around 30 minutes at the counter and when you consider that an ATM can do exactly that for you in 30 seconds, that’s nuts. The plus side was that I felt like a character from Seinfeld in the bank. The locals earn MN which is Moneda Nacional and it’s not worth as much as the tourist currency, CUC. They aren’t able to buy everything with MN whereas the CUC gives them more freedom, so again, I reiterate: TIP PEOPLE IN CUC. The exchange rate is around 1 CUC = 24 MN. As a tourist, you won’t really use MN but it’s good to know the conversion anyhow. For reference, 1 CUC is *around* 1 USD which makes things pretty easy to work out. Immunisation: Before going I topped up on my regular vaccinations. I had tetanus, Hepatitis A, measles, mumps and rubella injections. I was told by my doctor that I didn’t need to have rabies shots for Cuba but if you want to be sure, you could get them. (You’d have to have 3 rounds and they are extremely expensive.) Although Cuba is full of animals everywhere, especially dogs and cats, I was told that it’s been decades since they’ve had any rabies cases. Cuban cigars, as you would expect, are sold everywhere but there are also fakes around. Sometimes the fakes are so good that they have authentication stickers and serial numbers and everything. We went to a local cigar producing family in Vinales and had a tour of their plantation and then bought some directly off them. We watched him roll the cigars too. In Trinidad, we were introduced to an official seller through our tour guide so we bought some beautiful boxed cigars there too. 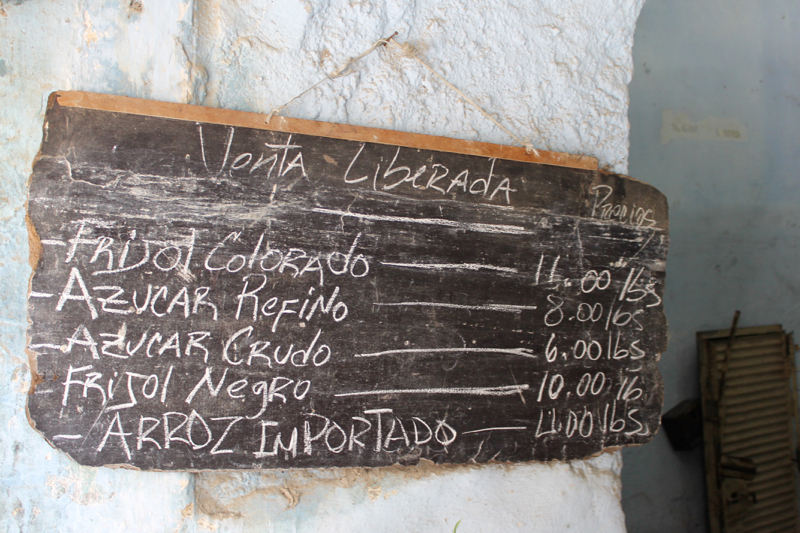 Havana Rum is *obviously* produced in Havana but it comes in various forms. 3, 5, 7 and 15 years – to my knowledge, the 15 year bottle is not sold in Europe so if you want to bring back a solid investment, that’s the one! Get ready for a digital detox. There is no national internet coverage, it simply doesn’t exist. To access the internet, the larger and more tourist friendly towns will have a building called ETECSA which is some sort of communications company. You’ll know it’s the right building because there will be a hideous queue all day long outside the building. You have to purchase an internet log-in card which is valid for one hour. Some towns will let you buy unlimited numbers and others will cap it at 3 cards. 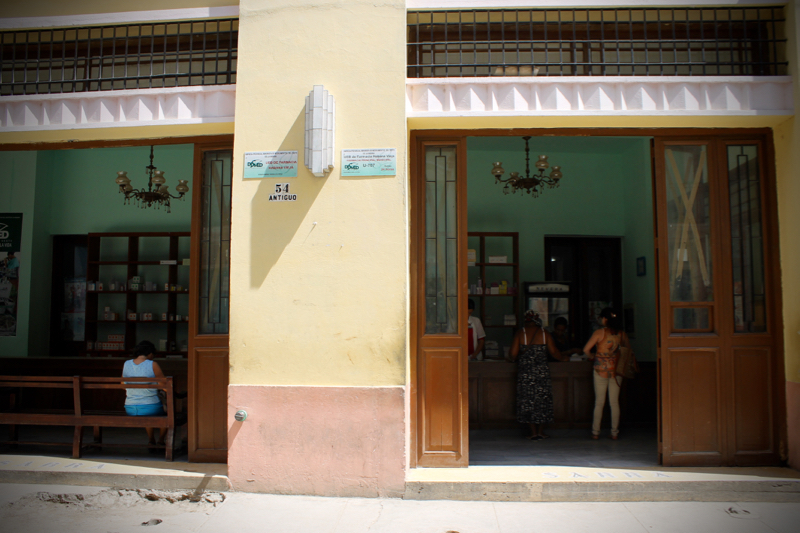 In Havana we paid 5CUC for an hour of internet and in Vinales we paid 2CUC. The internet connection is basic at best. You will be able to access and send emails and upload photos to Facebook and Instagram but you won’t be able to do online shopping, payments or ordering etc. Oh well! 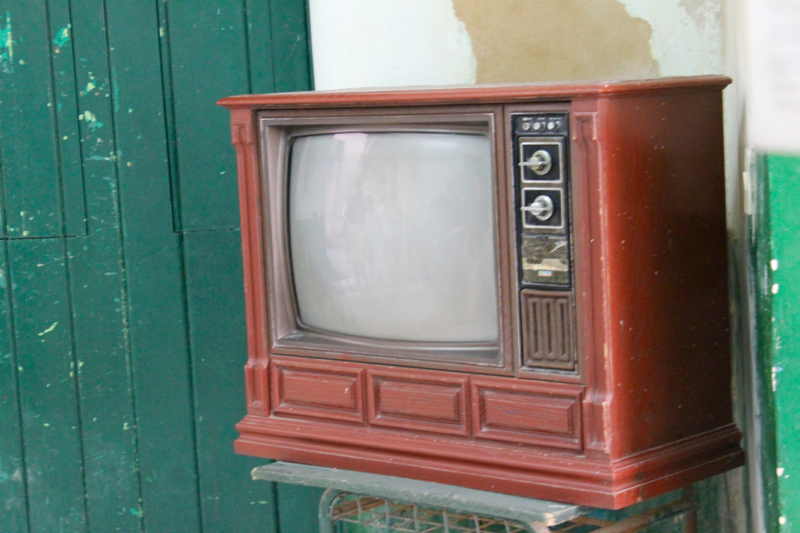 You’re not in Cuba to sit online, are you? 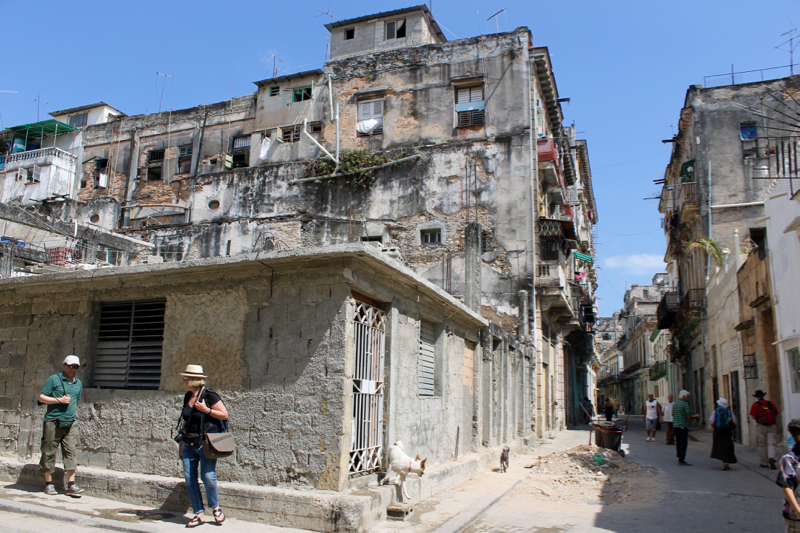 As there has been a huge surge in tourism since the 90’s, Cuba is faced with an accommodation emergency. 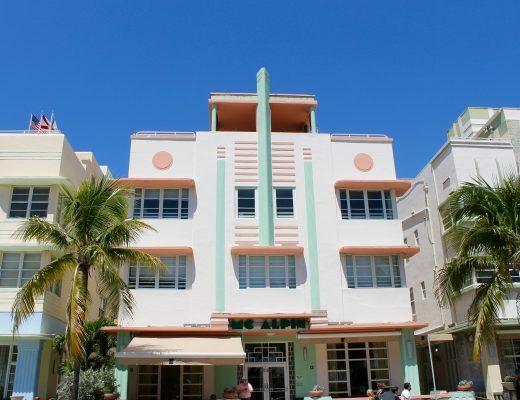 There hasn’t been a lot of foreign investment due to the US embargo which means that it’s hard to get hotel rooms. For this reason, there’s a system called “Casa Particular” which is basically where you stay with a family in their home and pay them per night. As we were travelling with a tour group, we never exchanged money and everything was taken care of for us but something we noticed with each Casa was that we always got our own bedroom with a fan or air conditioning, our own bathroom and the family provided breakfast for us each morning. I *believe* the room was around 20CUC per night (I could be wrong though) but in any case, it’s very cheap. We had three stays with different families and 2 of our 3 stays were beautiful. The families were lovely, accommodating and interested in us. Be prepared to lower your Western-World standards! 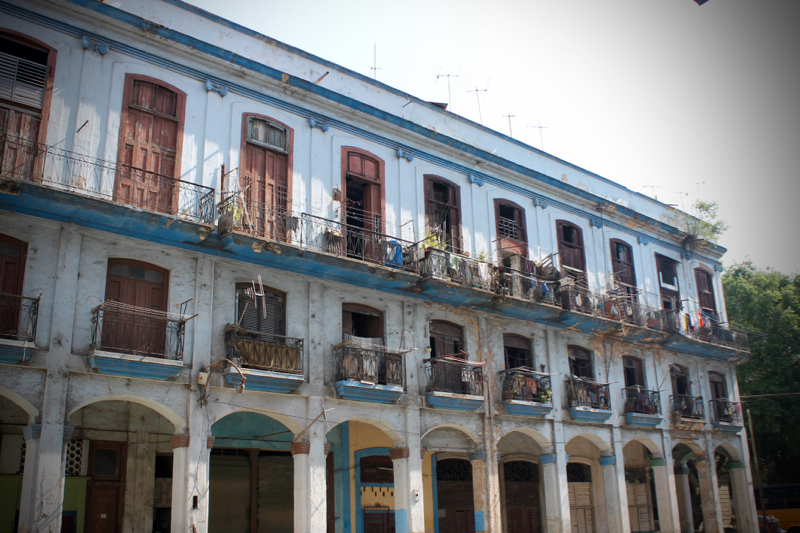 In our first hotel (Havana Libre), we had flesh eating worms in the bed (their species is called the Screwworm), a leaking roof over the toilet where we needed to sit with an umbrella above our heads and in my last Casa in Havana, I had the pleasure of eating two live worms in my meal. Finally, I got electrocuted taking out a plug from the wall in Vinales. Oh the joys of traveling through Cuba. To be fair, they just make for good travel stories so I wasn’t too worried about it. We also had many cocktails with ice cubes and crushed ice inside and I must admit, I had a slightly upset stomach once or twice which resulted in some drastic bathroom action so it’s best to stick to bottled water for consumption and toothbrushing. The restaurants and bars always have a person working by the toilets. You should also pay a minimum of 25 (CUC) cents and if they are especially sweet, help them out with 1CUC. The toilets are absolutely feral and normally the flusher doesn’t work and throughout most of the country, you are supposed to put your toilet paper in a bin next to the toilet. Last but not least, bring gifts if you feel like it! 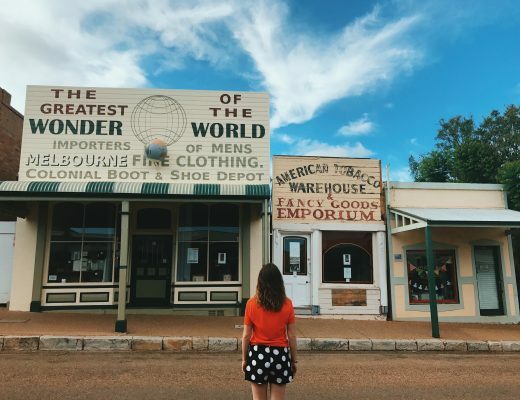 As imports are almost non-existent, the locals are over the MOON if you give them a bar of soap, a bottle of shampoo or some toothbrushes or toothpaste. Anything you might take for granted back home, will be a huge gift in Cuba. Even some bobby pins/makeup/hair ties or ladies’ products will result in a huge grin. 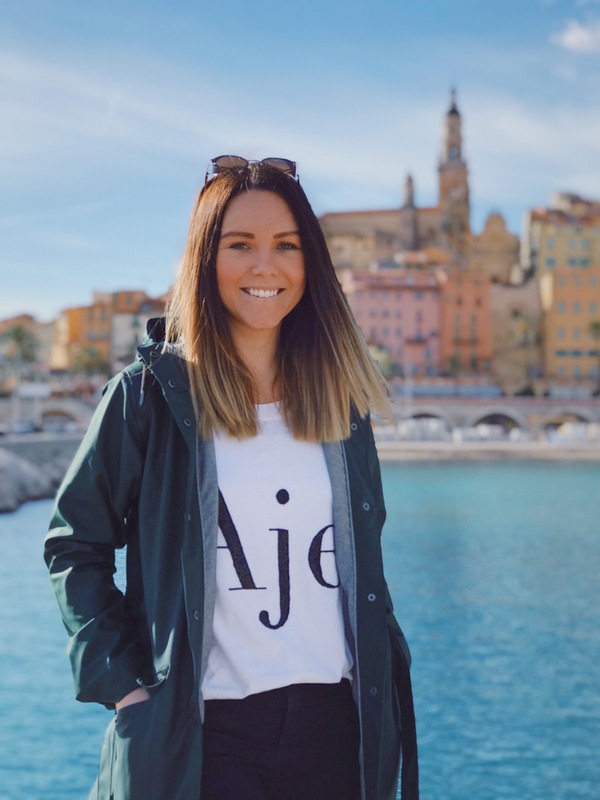 Imagine you are earning 25 euros a month and one tampon costs a euro? It’s not possible to afford them so ladies, if you want to help a sister out, bring those. For now, that’s all I’ll write but please spend some time looking at my photos below. It took a long time for me to select these and I’ll be really pleased if you guys enjoy this post! 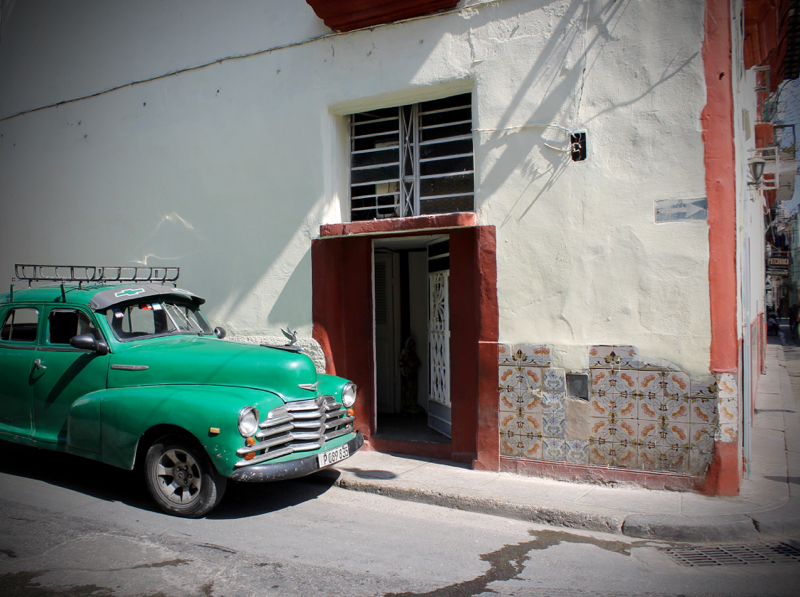 There will be around 10 more Cuban posts to come so stay tuned for more photo inspiration and tips! As always, you can follow Kaptain Kenny on Instagram by clicking here. My first Havana photo of the trip. I was pretty happy to be able to capture this scene – so much is going on! 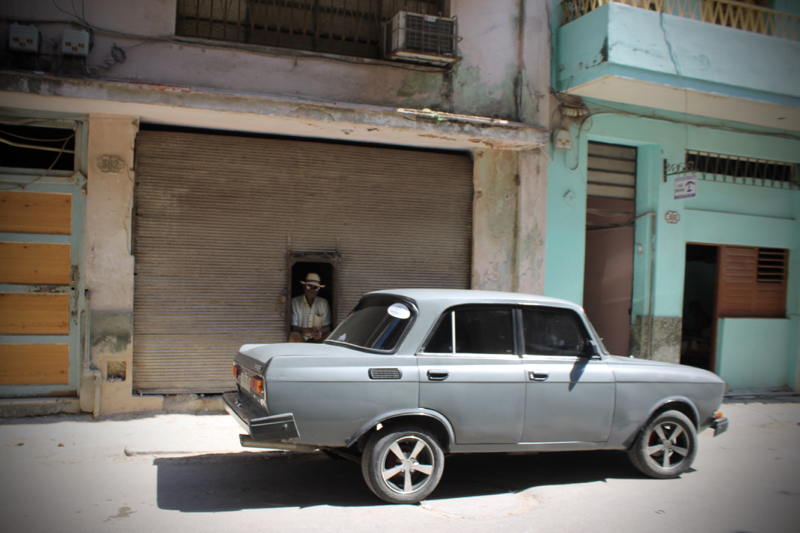 Cubans don’t have access to new cars right now so the older models are all they have. For that reason, it’s nice to see the cars but don’t forget there’s a reason they are there. Cubans want progress and change but right now they have to make do. 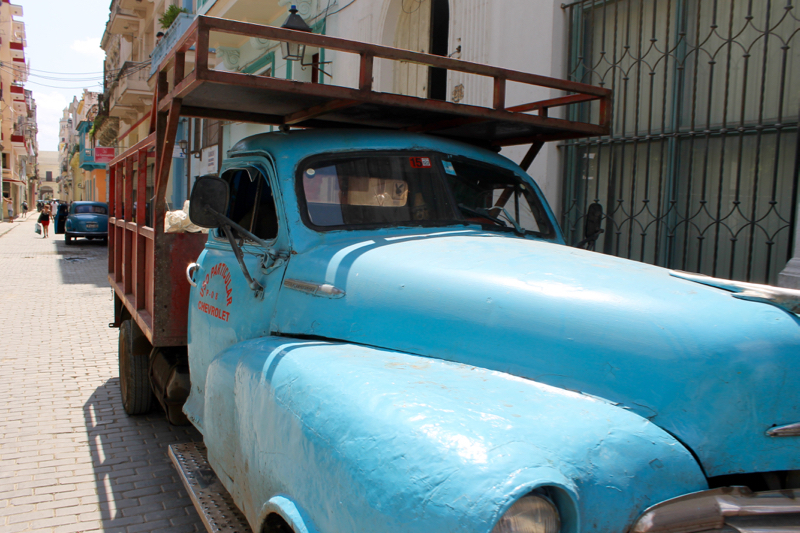 You’ll see these classic cars mainly in Havana and you’ll see a lot of old bombs from the 70’s and 80’s. It will be common to see major breakdowns with cars losing entire wheels. Apparently everyone knows someone who can fix cars and the repairs will often be quick-fixes. Amazing how these cars really suit the surroundings. 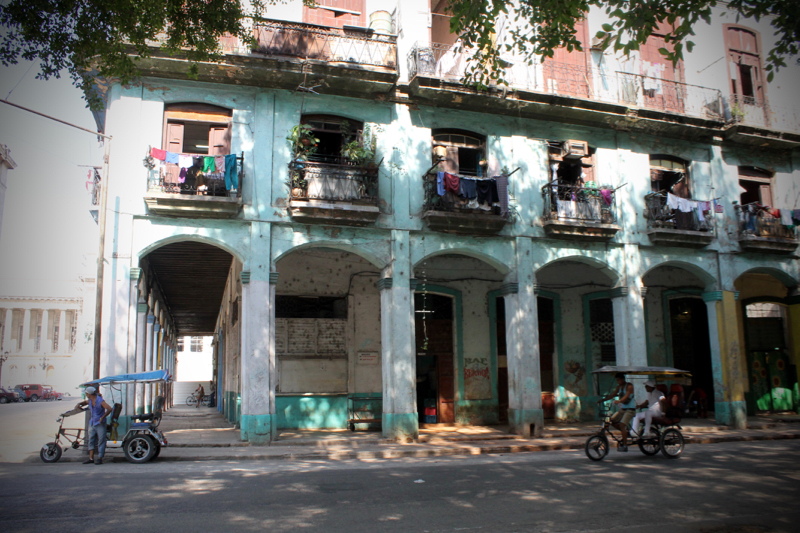 So much of Havana is dishevelled like this which admittedly makes for a great photo opportunity but don’t forget that Cubans would love their buildings to be better maintained. Apparently that’s the government’s duty to do it. 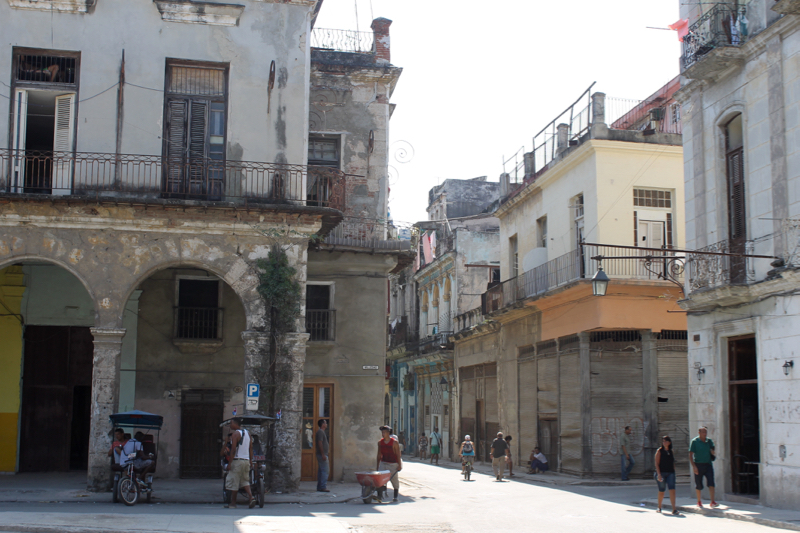 I love this photo – it makes Havana look like a little toy village. Threw in some blue steel for good measure. Amazing! 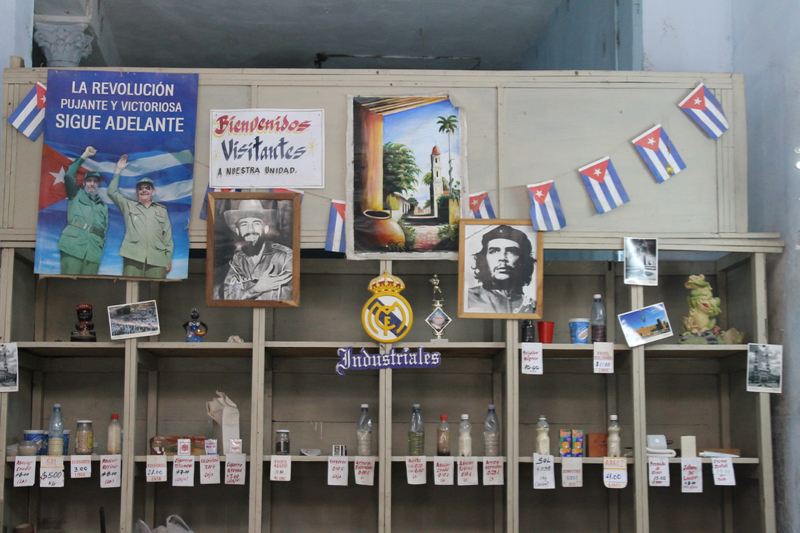 In Cuba’s boom times, a lot of foreign investment was around. This was a building site from the 50’s which was completely abandoned and 100% left as it was half a decade ago. 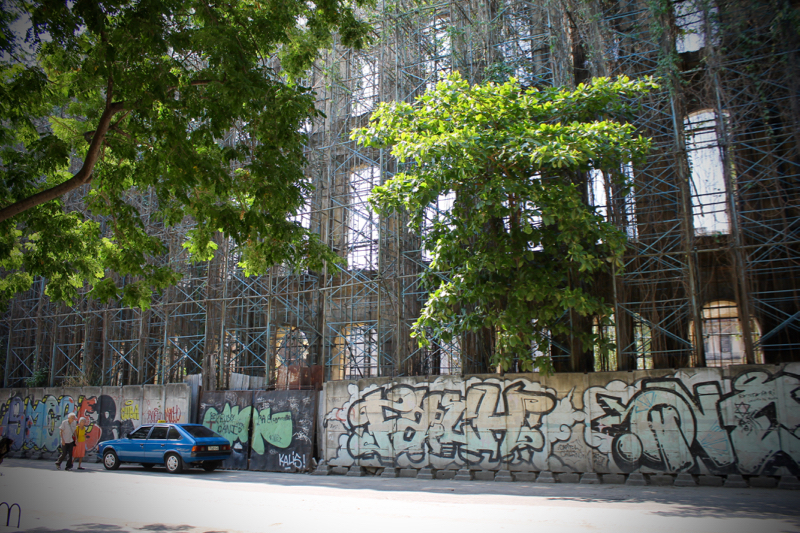 Can you see the trees and vines growing from inside the construction site? 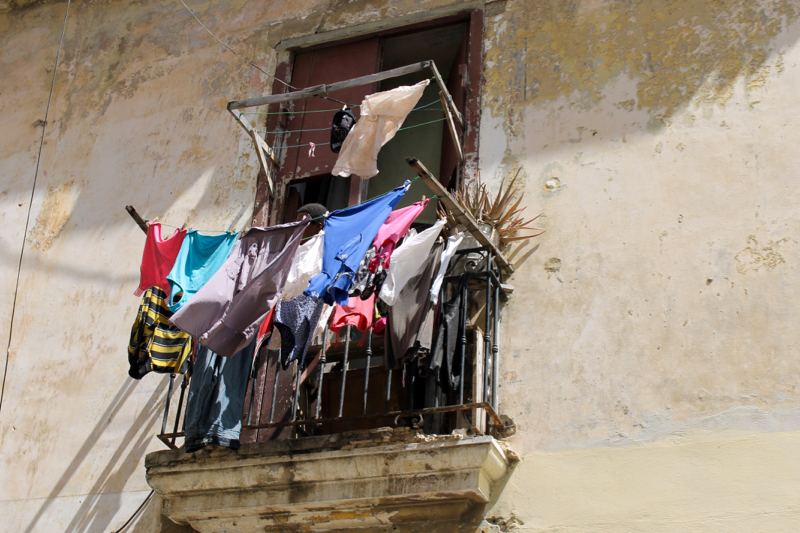 I heard from a few people that there are regular balcony accidents in Cuba. Sometimes they just fall apart and there have been a few balcony related deaths. Love the splash of red. A snapshot of every day life. Can’t resist photographing these cars. I love how this car happened to colour coordinate with that man’s shirt! Winning! 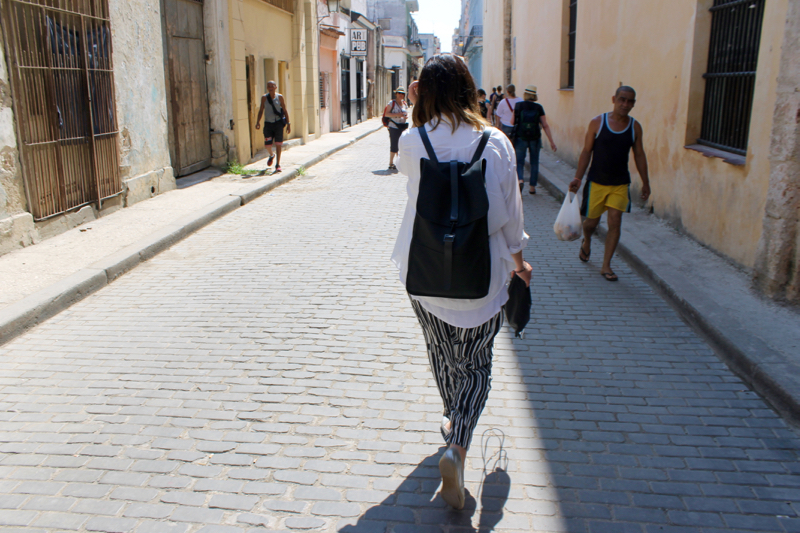 Happy to be exploring Havana. Sometimes you’ll see lights like this which are left on all the time. Not sure how safe that construction work looks! 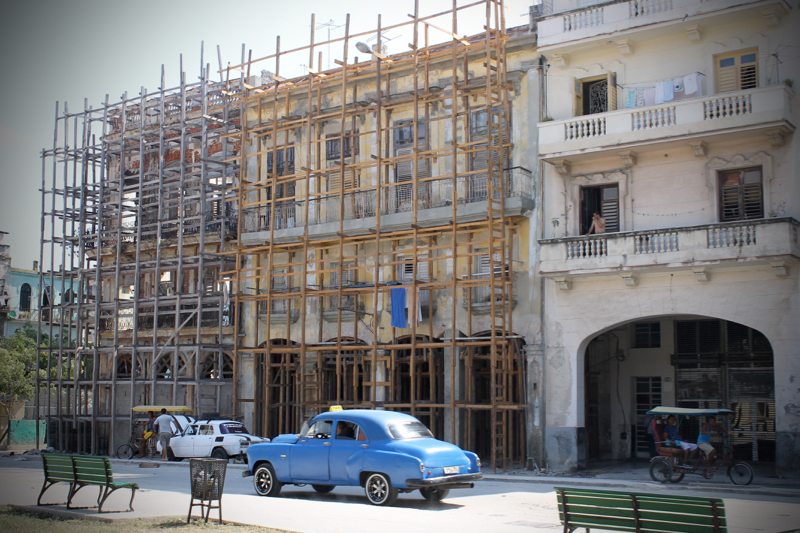 People are always busy in Havana and always working hard! Some of the national hero memorabilia. I do love a good painted doorway. 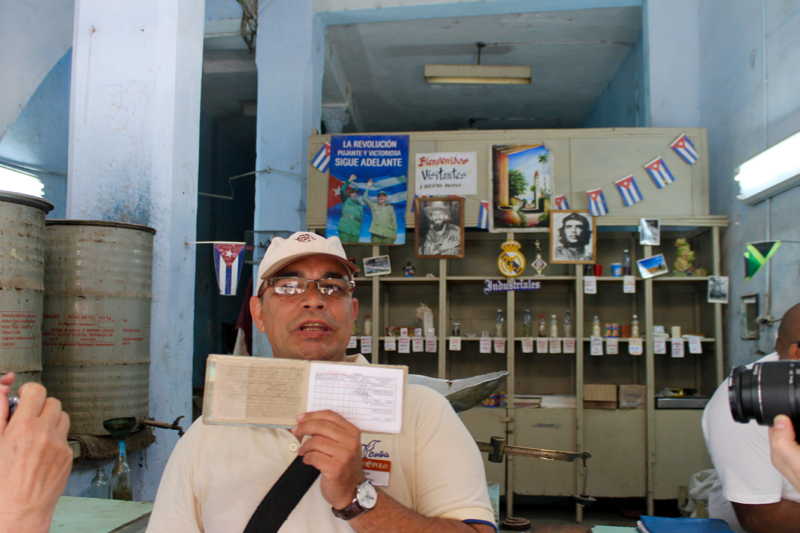 This is our fabulous tour guide Jorge – he took us to the rations supermarket. Every citizen is given this paper booklet with their rations allowed. 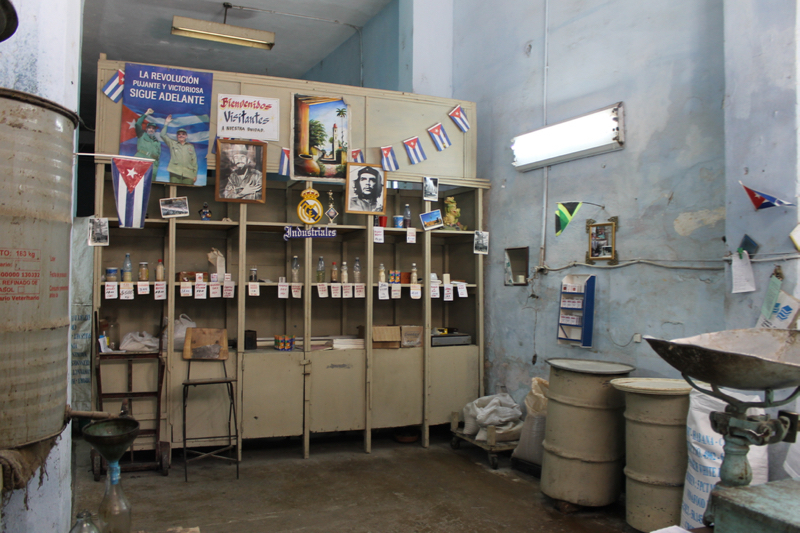 As a Cuban, these are the products you will be afforded by the state. Rice, flour, salt, sugar etc. Certainly nothing you can 100% live off. Pretty grim….. imagine shopping here? This could very well be by favourite shot of the day. This man was cute and kept smiling so I asked if I could take a photo of him and he happily obliged. This was a pretty residential area and wasn’t overrun with tourists. Crumbling away but interesting to photograph. Nice little addition to the school – some political propaganda. Street vendors have a way to make some extra money by selling produce on the streets. We once bought 8 bananas which cost us 30 cents. Time to do the washing. Hopefully it was helpful Aron – many more to come so stay tuned. 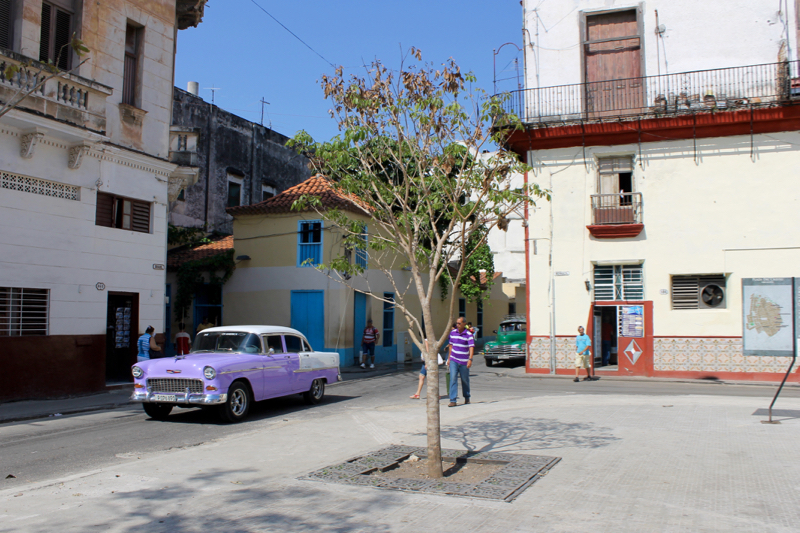 i must admit that ive never had cuba fully on my radar (i think it is because so many of my friends have been there over the years so i heard about it a lot! ), but maybe it ought to be 🙂 we have always been able to travel there as americans, but never had direct flights out of the US. now it will be a bit more convenient so i may have to do it someday when im stateside for a week or so 🙂 great tips and things to be prepared for! 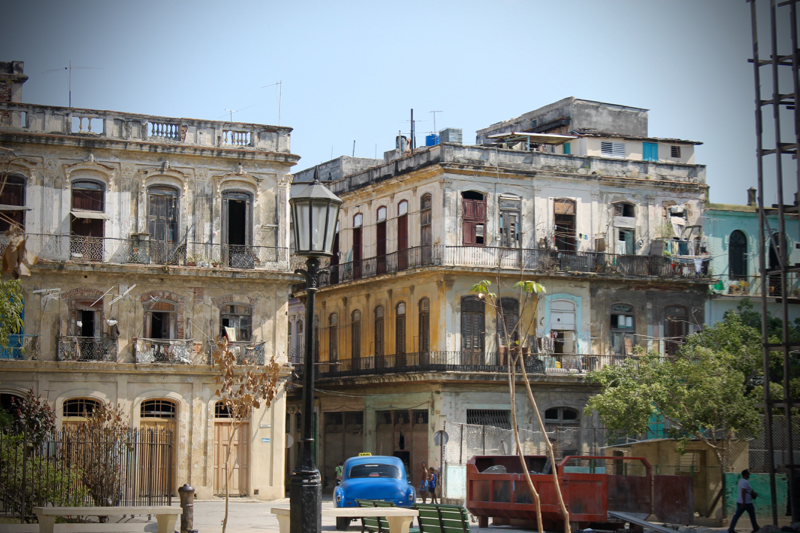 I would totally recommend it – Havana and Trinidad are must sees! More posts coming too…!! 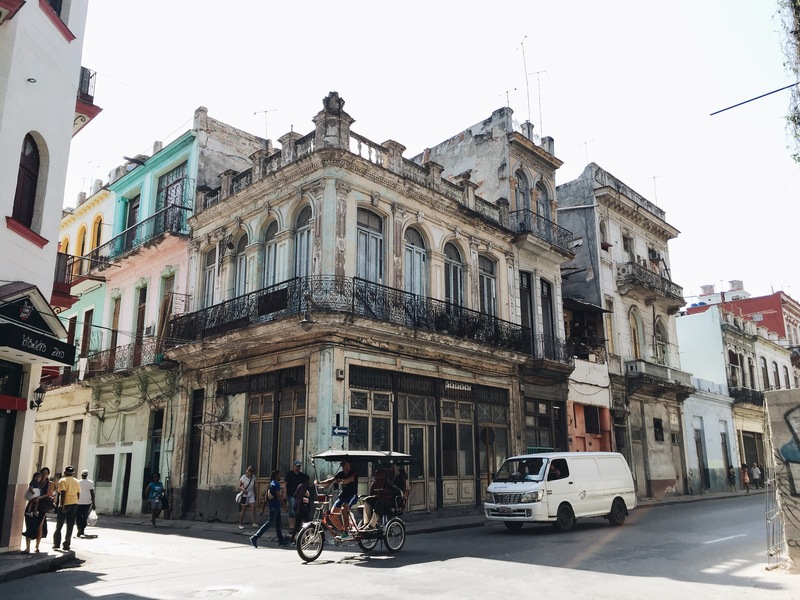 I love how you captured this side of Cuba instead of the vibrant colorful streets I see so often in most blogs. 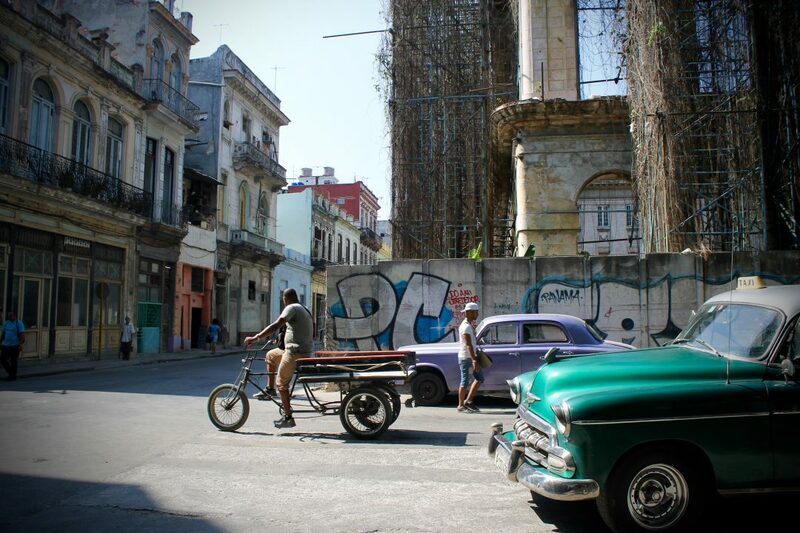 It makes Cuba more charming than ever. Thanks so much! I’m really honoured that you like me photography. I think you just made my day. It’s always tricky to photograph a place which has been heavily covered and sometimes photos will double up but I’m glad you think I have a good “eye”. Have a great day & keep reading!